I like to be able to send beautiful flowers to Mum for birthday and Mother’s Day each year to the UK. I thought this would be a problem as I am in Australia especially when it comes to paying with your international card but interflora have been amazing and make this so easy to do online. I have known their quality products from being in the UK and their service and quality is great. I am so impressed with them. They keep me up to date on emails about the product being delivered too. 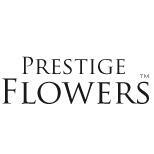 Prestige Flowers - www.prestigeflowers.co.uk 2. Flowers Same Day www.flowerssameday.co.uk 3.